The ARM Mali-C71 is the company's first ISP, and it's aimed at automotive technology. But is this just the start? Image signal processors have officially arrived on the mobile scene. Well, they had arrived about a year or so ago, but with ARM entering the business, they’re truly going mainstream. On April 25, ARM announced its new Mali-C71 image signal processor, an automotive grade ISP that other semiconductor firms can use. ARM isn’t the first to introduce an ISP, but given that the company has been at the centre of all mobile processors in recent years, it’s a big deal. The ARM Mali-C71 is the company’s first ISP and is specifically designed for Advanced Driver Assistance Systems (ADAS). Wondering what that means? Well, ARM is basically aiming to make the ISP useful for automated driving systems, or at least for systems involving vehicular sights. The company estimates the number of cameras and sensors in cars to double eventually, and wants to capitalise on the same. 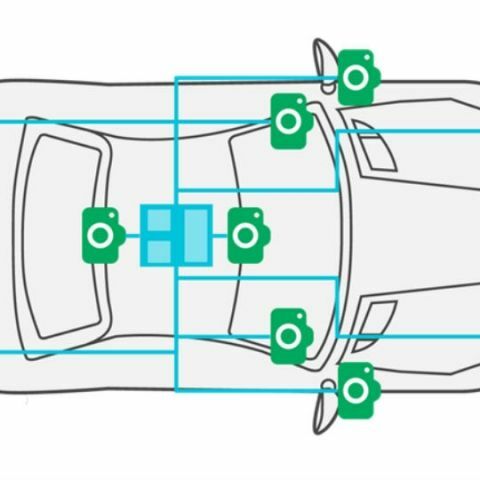 "As the number of cameras per vehicle increases and sensor fusion technologies get smarter, the ISP function – processing raw pixels into high quality images for displays – encoding and further processing by computer vision algorithms is being centralised within the ADAS SoC," ARM says in its launch release. Why does ARM’s entry matter? ARM isn’t the first to design its own ISP. In fact, both Qualcomm and Samsung have designed their own ISPs. In fact, the introduction of DSPs, ISPs and more is one of the reasons why Qualcomm renamed its Snapdragon SoCs to Snapdragon Platforms. On the other hand, the machine vision features of Samsung’s Exynos 8895 are already being used by Audi for its automotive technology. This is how the 2019 Honda City may look like! It’s possible that ARM is looking to do the same. However, unlike Qualcomm and Samsung, ARM doesn’t sell semiconductors. The company is in the business of selling its intellectual property (IP), which means anyone can make use of the Mali-C71 ISP on their SoC. We do not have enough information on how ARM means to license this, but it’s possible that things will work the same way as they do with Cortex-based chipsets. For example, Qualcomm’s Kryo and Samsung’s Mongoose architectures are based on ARM’s Cortex A72/73 designs (neither company has confirmed which one). MediaTek, on the other hand, has used ARM’s core architectures directly. Interestingly, the Taiwanese company had also unveiled its own ISP, called Imagiq, around this time last year. While ARM’s first ISP is obviously focused on automotive technology, this may be a start only. The company may take on Qualcomm, Samsung and MediaTek in the mobile space as well. Give its dominating presence there, it shouldn’t be too difficult for ARM to make a difference there. While machine vision and ISPs can be handy in automotive technology, mobile imaging is greatly advantaged by ISPs. Qualcomm’s Spectra ISP is meant to enhance smartphone cameras, as are others. But those will be limited to the top of the class, for those who can afford it. Given that manufacturers like Samsung, Apple and even Sony and HTC will always want such features in their flagship products, it leaves cheaper products at a disadvantage. That’s where ARM comes in. By allowing anyone to use its IP, the Mali-C71 can not only be on more SoCs, it can be used on more products. Qualcomm has been making a move for the lower end market, but if you look at cheaper smartphones you’ll realise most of them still run on Mali GPUs instead of Adreno. With some help from OEMs (cutting margins, using aggressive pricing), which is already happening, phones like the Xiaomi Redmi Note 4 and many others can have excellent cameras too.